Yarn Type SALE 20% OFF! 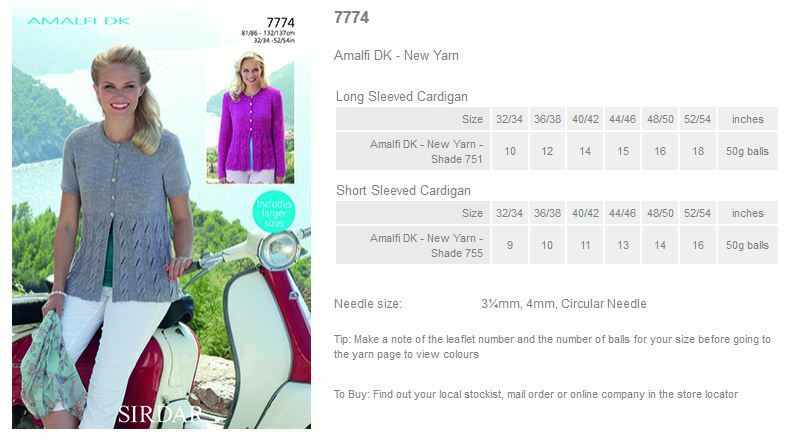 Inspired by the gorgeous Amalfi coast in Italy and has a beautiful cotton blend making it wonderfully soft. 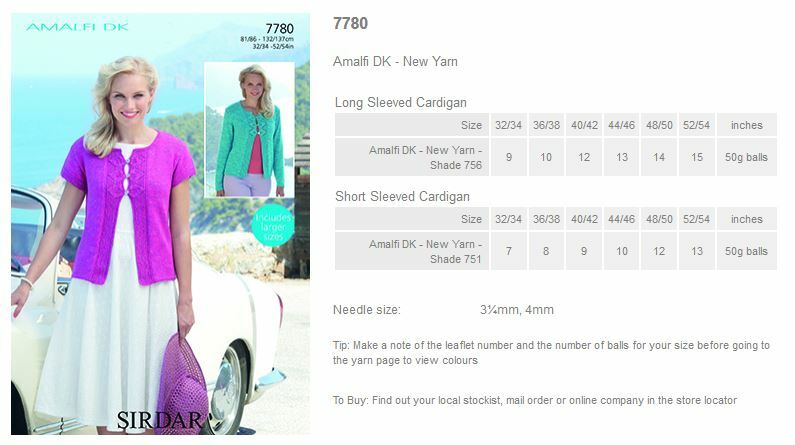 Amalfi DK comes in a palette of shades, each with a colourful nep running through them. 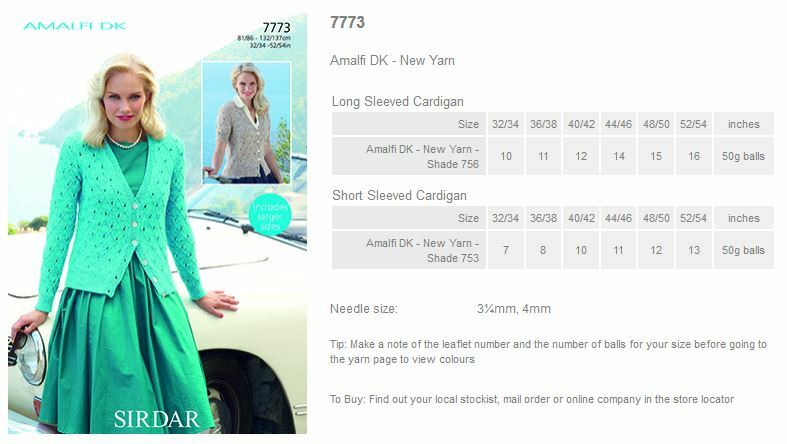 It is a machine washable, standard double knitting yarn and will knit to all Sirdar double knitting patterns. 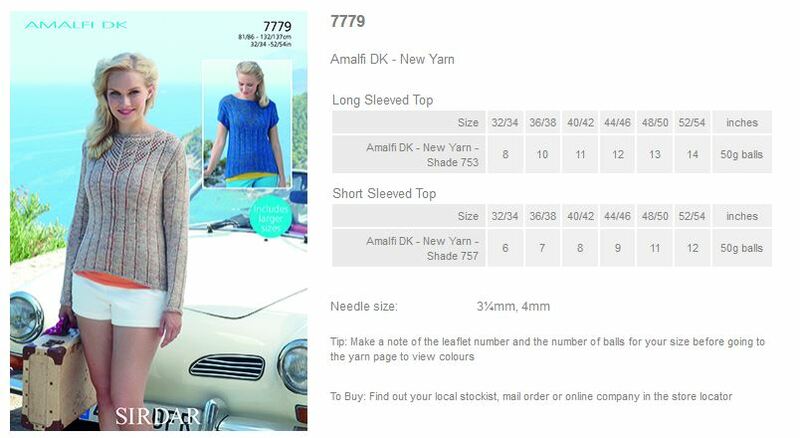 75% Cotton 25% Viscose. 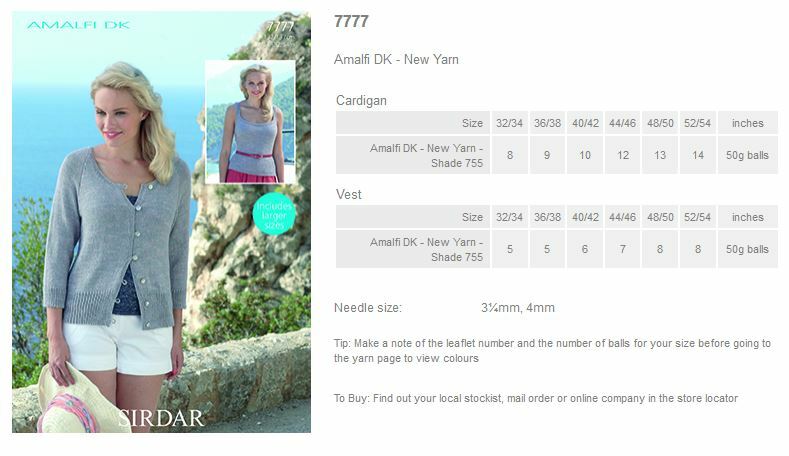 Leaflet with designs for Long and Short Sleeved Cardigans using Amalfi DK. 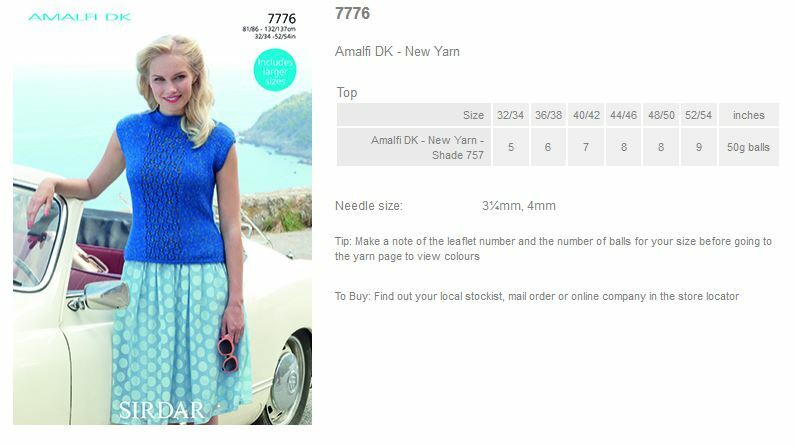 Leaflet with designs for Long and Short Sleeved Tops using Amalfi DK.